Me and Jon went to BVE at ExCel today. Slightly odd that both CVP and Sony weren't there...and some other companies had scaled down their stands from last year. But Atomos were right in the middle again with a very impressive stand. I had arranged to meet Andrew from SLRMagic there. We fitted the SLRMagic 50mm anamorphic lens to the 5D Mk3 (using a PL to EF mount) and i got to play with this much sought after lens. It's got a really pronounced 'bowing' effect and of course, the trade mark flare streaks. Obviously, we used an Atomos Shogun to de-squeeze the 1.33:1 image. It looks great for either face close ups or wide establishing shots, but I felt the 'bowing' looked a little too much on medium close shots, especially if there's any straight vertical things in shot as they look very curved. This wouldn't be a problem if you were using them in the right context with time to compose your shots... but they wouldn't be a good idea if you're working off the cuff and shooting fast like i often am. 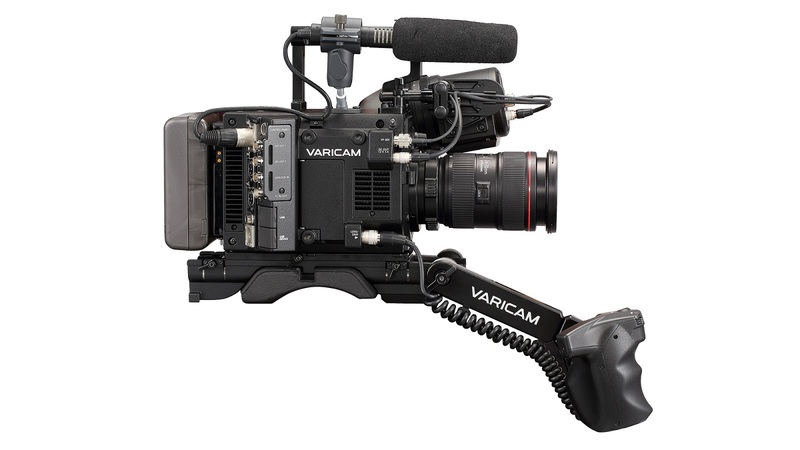 Next, we went to have a play with the new Panasonic VariCam LT. I was pretty excited to try this camera out as i've always liked the Panasonic image and the VariCam is a seriously nice camera. The LT version was interesting.. nice smaller form factor, the same control panel which is removable and an EF lens mount as standard. But, then came the shocking bad news. It only captures to AVCIntra internally... no Pro Res or DNxHD for 4K... and it won't send 4K out to an external recorder at all! Why??!! That's a seriously nice camera, ruined by a weird codec decision and a hampered output. But, all is not lost. I heard a pretty solid rumour that 4K will indeed be possible to extract from the output of the LT before long... watch this space - it could save this camera. Finally, i found some fantastic light panels from LEDGO... seriously impressive. Nice quality light and a really good price and they are so thin! Just what i was looking for.